Scientists have found that other disorders including intellectual disability can confuse the diagnosis of autism. This provides a possible explanation for at least some of the dramatic recent rise in autism rates. These “confounding” disorders often occur simultaneously with autism, suggesting to some scientists that current diagnostic criteria may need to be refined to insure accuracy. Between 2002 and 2010, autism rates increased 120%, so that today it is estimated that 1 in 68 children is diagnosed with the disorder. There is significant speculation as to why rates have increased so rapidly, but scientists have been unable to pinpoint a specific cause. In new research published online on July 22 in The American Journal of Medical Genetics, a team of scientists found one possible explanation for the surge in diagnoses. The research team, led by Santhosh Girirajan, Ph.D., a 2014 NARSAD Young Investigator grantee at Penn State University, began with a simple hypothesis: that autism rates are on the rise, at least in part, because of the “recategorization” of mental disorders. It is well known that patients diagnosed with autism often have other simultaneous diagnoses. The researchers reasoned that over time, autism has increasingly become the primary diagnosis while others take on a more minor role. 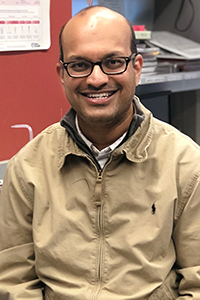 Dr. Girirajan and colleagues examined special education enrollment data for about 6.2 million U.S.-born children, ages 3 – 18, each year from 2000 – 2010. In this data, children are categorized based upon their primary diagnosis and sorted by age and state. Consistent with previous results, the researchers found that autism rates among the children enrolled in special education programs surged, some 331%. But the prevalence of intellectual disability declined in the same period -- by nearly two-thirds of the reported increase in autism diagnoses. Still, the number of children enrolled in special education services remained relatively constant, suggesting that the total burden of illness in the study population over the ten-year period remained fairly stable. This led the researchers to look to patterns of diagnosis for explanations. They conclude that diagnosis is indeed shifting toward autism, particularly in children who have more than one reportable diagnosis – say, autism/ASD and intellectual disability. This, in turn, may be what is complicating efforts to estimate the prevalence of autism. The results potentially could have a profound impact on work to uncover the genetic bases of autism. With the possibility of multiple disorders under one diagnosis, it becomes difficult to identify the underlying genetic cause of a single disorder. In fact, this is precisely what other groups have found: in new research, many disorders appear to arise from common genetic roots.